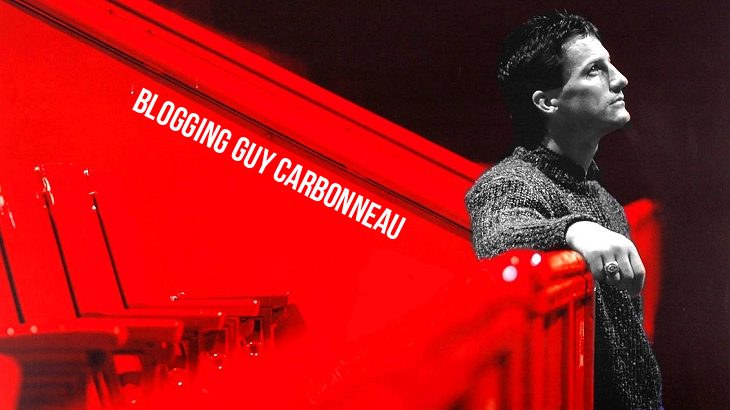 Blogging Guy Carbonneau: Guy sometimes shows up in the strangest places. YouTube is a wonder in modern cyberspace. Videos from all eras can be found on this website -- everything old is new again. I was alerted to this oddity. This is Andre Philippe Gagnon's "La Canada" music video. Watch for Carbo at around 1:28. There is no date on this but I'd say that it's from around the time Guy was captain of the Canadiens. I'll be featuring more Carbonneau videos in the coming months; stay tuned!